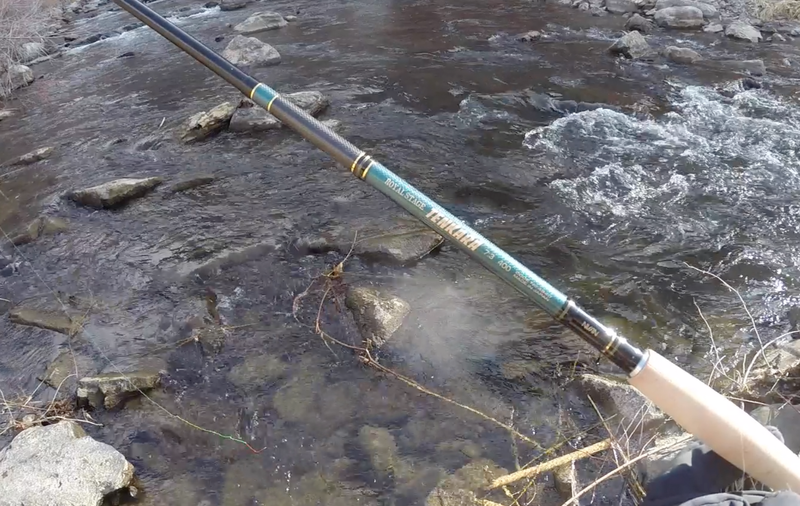 I talked about the physical characteristics of the Nissin Royal Stage Tenkara 400 7:3 rod recently in one of my posts. 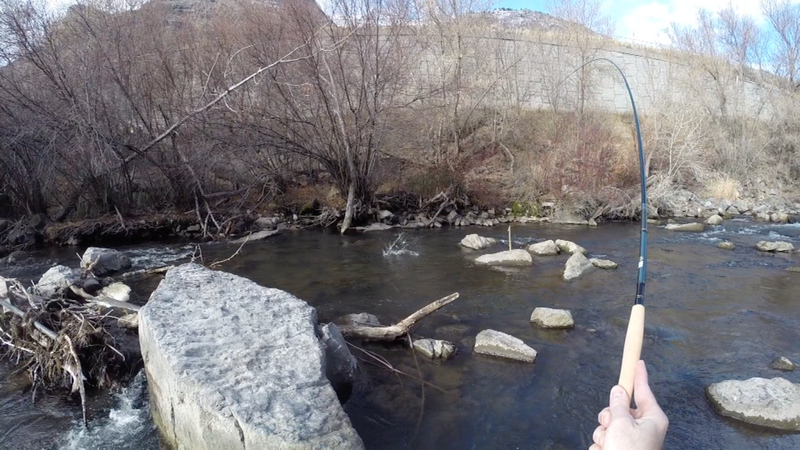 Here I briefly show what it can do on a typical mountain stream. 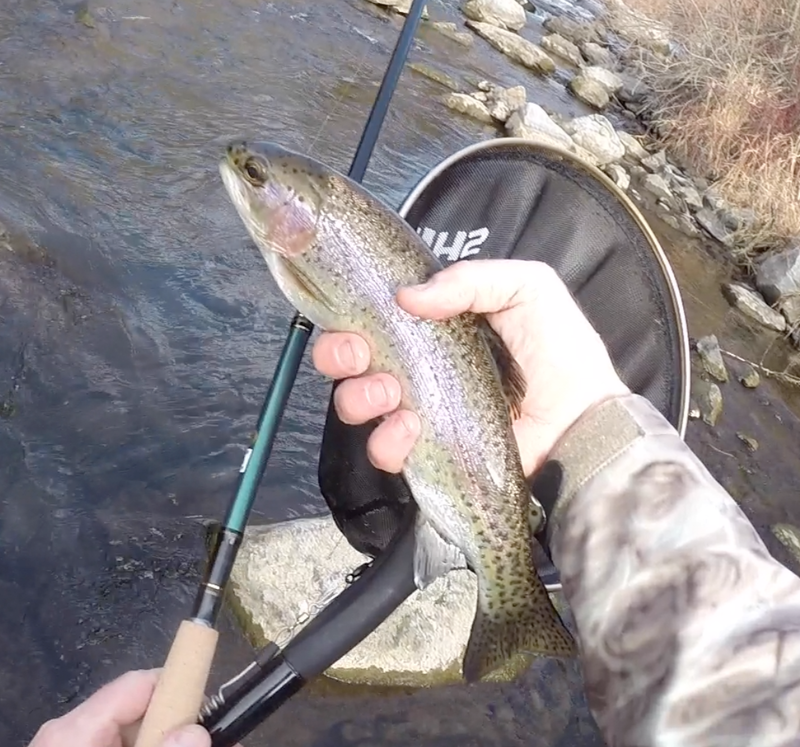 As I mentioned before, the rod has a very nice, relaxed casting action and it works with a #3.5 line very well. 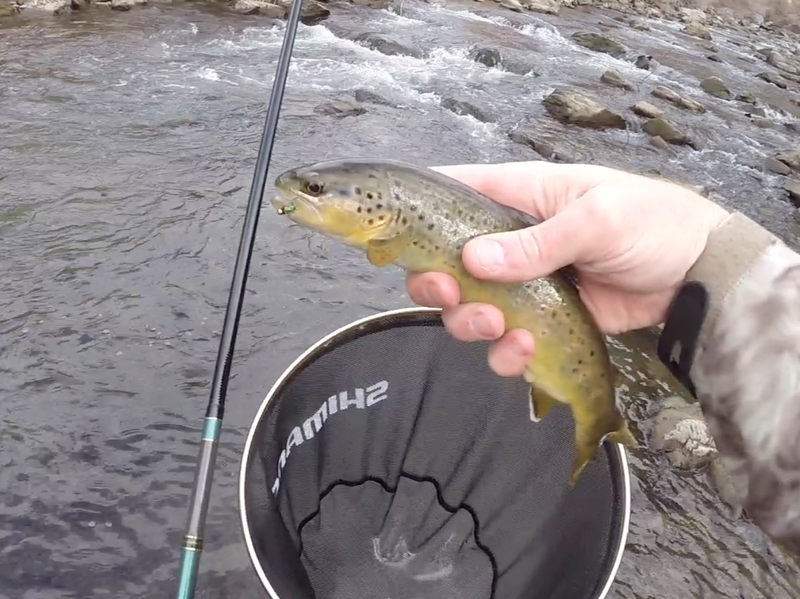 I recently fished the rod on a mountain stream that I was visiting. Although this stream can be easily fished with a 390 cm rod, the Royal Stage Tenkara 400 is not too long. I like fishing close to my targets so I used a 10 ft line with 3 feet of 5X tippet. This allowed me to control the line better since there was a steady upstream breeze blowing. 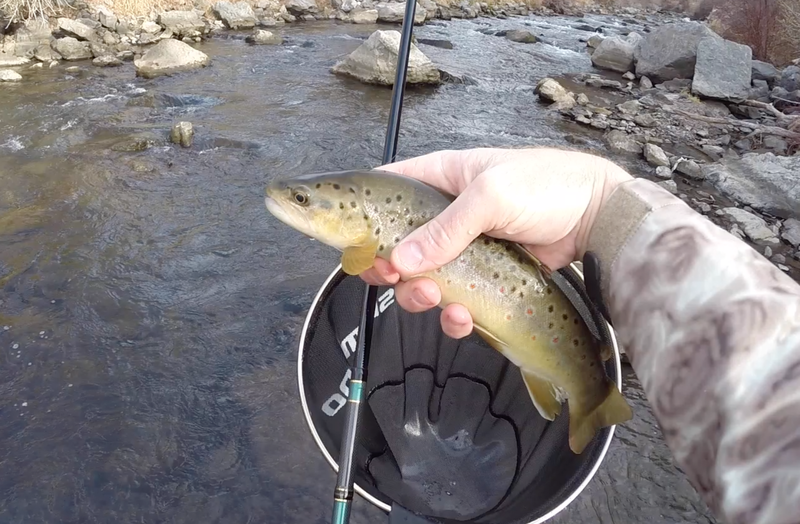 I hooked and landed trout ranging from 10 to 14 inches. The rod easily handled them, as would be expected. 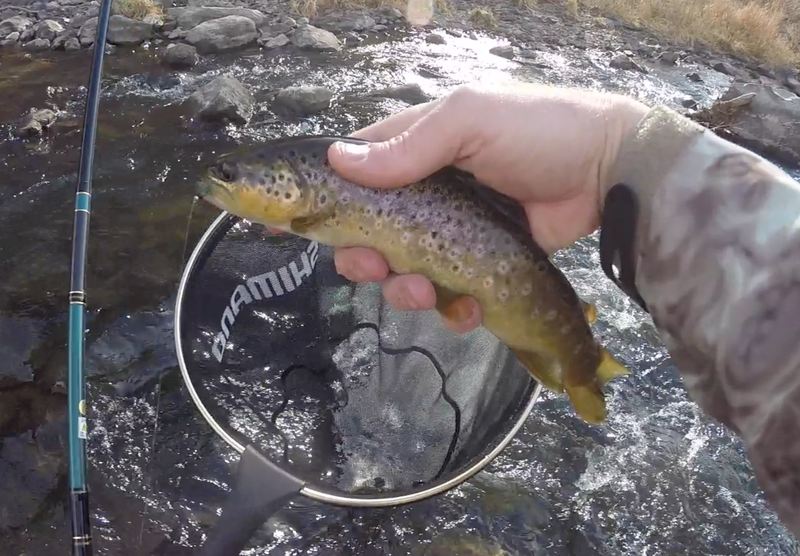 As for a fly, I used a beadhead -- what I usually fish in the winter. Again, the rod cast it very well. You just have to remember to keep your casting loop open so the fly does not hit the rod. Conclusion: I really like this rod. It has a wonderfully shaped handle that allows multiple grip positions. The tip heaviness is very respectable, for such a long rod (410 cm). The casting stroke is relaxed yet accurate. 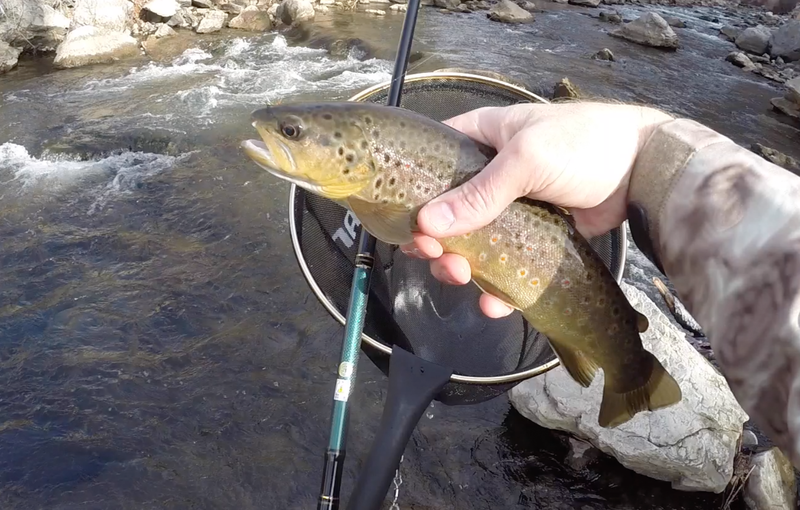 It handles tenkara sized trout very easily, even in fast gradient streams. Finally, it has wonderful aesthetics. What more can you ask of a 400+ cm tenkara rod! Want one? You can get one from Chris at Tenkara Bum. Chris is your premium Japanese tenkara, keiryu, and seiryu rod supplier with 5-star service. Another nice review. The Royal Stage is now on my wish list. I have a Pro Spec 2Way (partly because of your review of it) and I really like it. Nissin makes a product. Keep the videos coming- they help when I can't get out. Hope you and your family have a great holiday season. Thanks, Shawn. Merry Christmas to you as well. Yet another very nice tenkara rod... Is almost unbelievable that only 4 years ago i was considering a broom stick as an option for tenkara and now we have all this gorgeous options. Great to hear from you, Carlos. Happy New Year to you as well! I'm guessing you still like the Zerosum better... but could you explain how the Royal Stage differs/compares to the Zerosum? Thanks, and looking forward to more vids and log entries! They are pretty close. Other than coloration and some accents they are pretty much the same, as far as I can tell.